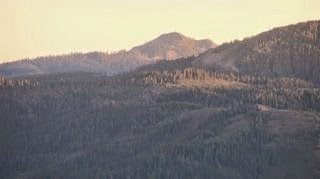 THPBlog: Sierra Pacific Industries to log near Downieville, CA. Sierra Pacific Industries to log near Downieville, CA. This THP is about 6 miles west of Downieville, CA and just north of Highway 49 near Ramshorn Creek Campground at an elevation of 4,620 to 5,360 feet. Sierra Pacific Industries is planning a tractor based logging operation in sugar pine, white fir, Douglas fir and incense cedar forests. The THP area contains a small unstable mining area with over steepened slopes. There is a goshawk territory within 2 mi, 6 CA spotted owl territories within .1 mi to .6 mi, and 1 foothill yellow legged frog was spotted within 1.25 mi. More information is available on the THP Tracking Center website.